There is a reason why glares are very annoying and uncomfortable – it is eye sore. This is the problem for many drivers especially at night. Dealing with glare prove to be challenging. Perhaps you already know that some road-related accidents here in Singapore are caused by glares. Glare is a type of light pollution that is often painful because of the bright light. •	Initial cleaning: You have to secure different materials like glass cleaner, sponge pad, microfiber towels and squeegee. After that, remove stuck things like bugs or tree sap. Spray the glass cleaner unto the substances and let it be for ten minutes. If it is softened, use the sponge to remove scrub it and then rinse it with water. •	Tackle exterior glass: After the initial cleaning, it is time to clean it thoroughly. Lift the wiper arms (in upright position) and then spray cleaner again. After spraying, use the towel and wipe the cleaner. For better results, wipe vertically and then horizontally after. •	Tackle interior glass: Now you are ready to clean the interior glass. You can also spray glass cleaner and wipe it using the towel. It is important that you wipe it in sections. •	Clean other surfaces: The front windshield does not only constitute your car. There are other glass surfaces that you should clean like the side mirrors, rearview mirror and the windows. Clean other glass surfaces as instructed above. Of course you can choose to have your car washed. The washers will make sure that everything is cleaned inside out. 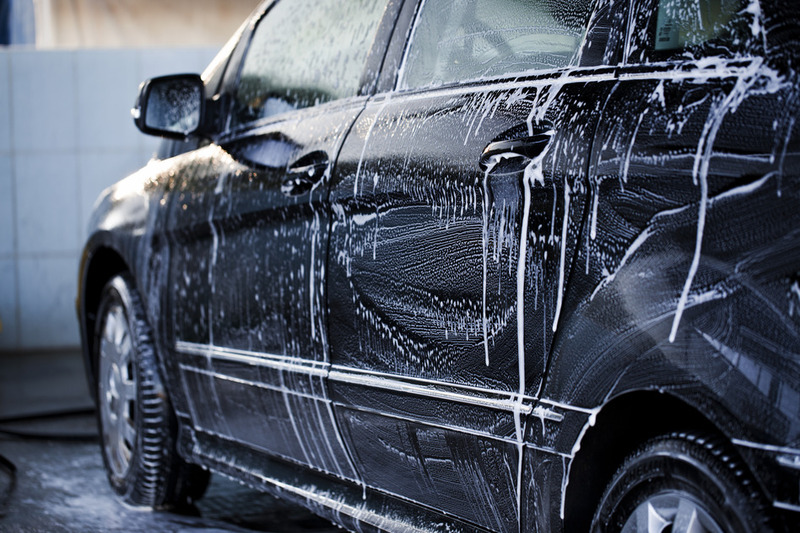 There are many carwash stations here in Singapore that you can consider so do not worry about it. Oh, car wash here is not that expensive so you can have it as often as you like. Aside from the glare, a clean windshield can be good for seeing. A dirty one will undermine the visibility. If all things fail, you have to go to your doctor and have your eyes checked. If it is the eyes, no matter how you clean your windshield or adjust your mirrors, you are vulnerable.